Shadow Education Minister Jihad Dib with local parents. Photos: Alex Rea. With strong population growth in the area, a committed group of Bungendore parents have been pushing for a high school to be built in their town. On Friday (26 October) the NSW Opposition announced that Labor will build a new high school in Bungendore within their first term of office, if elected in 2019. 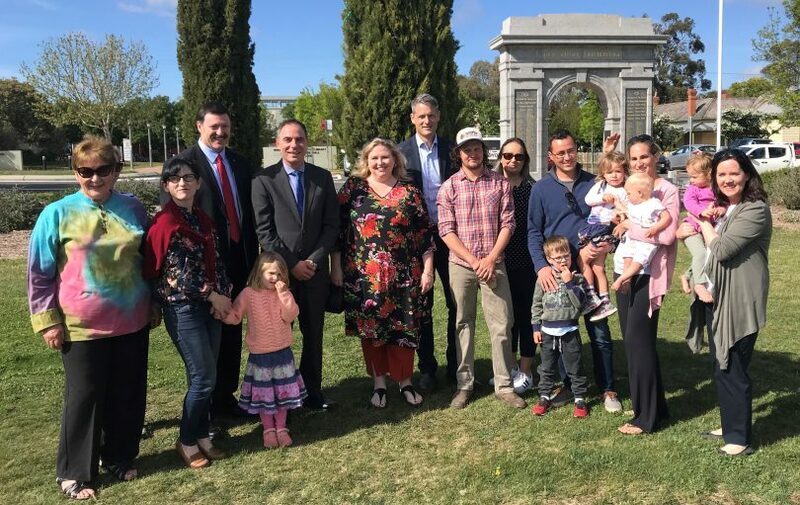 Shadow Education Minister Jihad Dib made the commitment while visiting Bungendore, joined by Country Labor’s Candidate for Monaro Bryce Wilson, Federal Member for Eden-Monaro Mike Kelly and local parents. 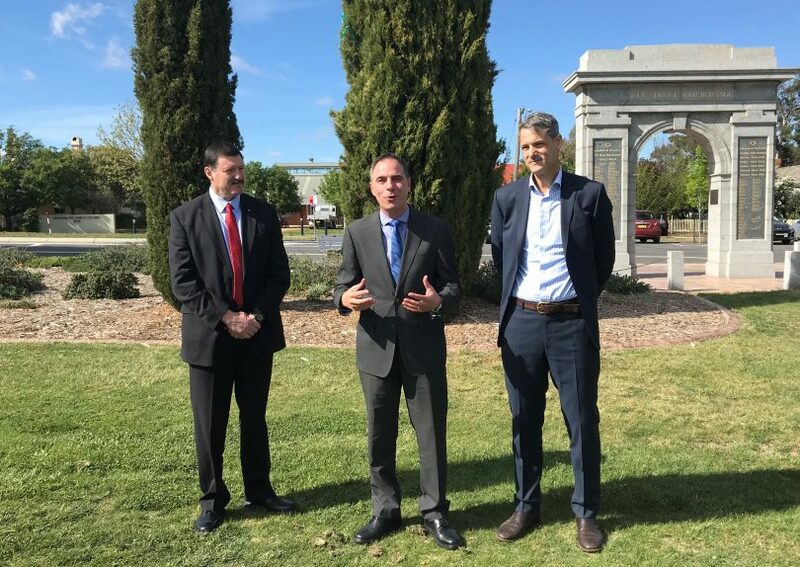 Federal Member for Eden-Monaro Mike Kelly, Shadow Education Minister Jihad Dib with Country Labor’s Candidate for Monaro Bryce Wilson. Bungendore and its surrounding areas have seen more than a 20 per cent growth in the primary school aged population from 2011-2016. There are almost 1,000 students in the local primary schools in Bungendore, Sutton, Tarago, Captains Flat and Gundaroo who will need to transition into high school within the next few years. Currently, many of these school students have to travel long distances to attend high school and these schools and many Canberra schools have become unavailable, as the ACT Government has restricted the Schools that NSW residents can attend. The announcement comes as Deputy Premier and Member for Monaro John Barilaro launched an online campaign for the new school. 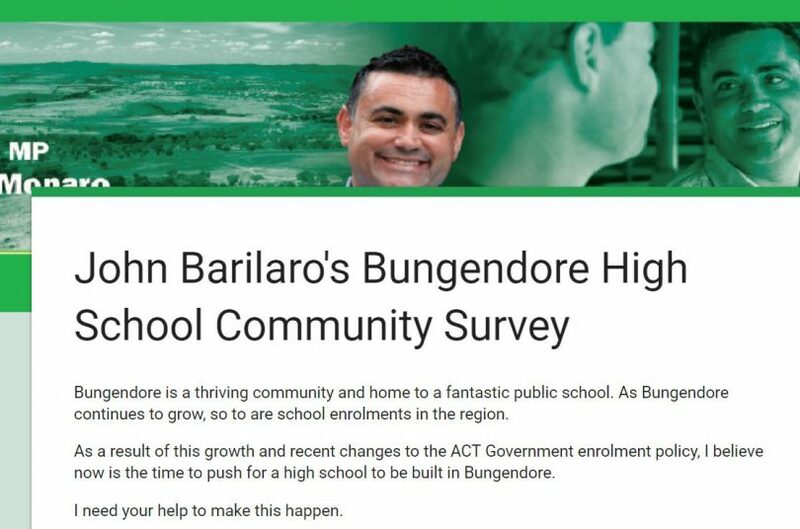 In the petition Mr Barilaro says “I believe now is the time to push for a high school to be built in Bungendore. I need your help to make this happen. 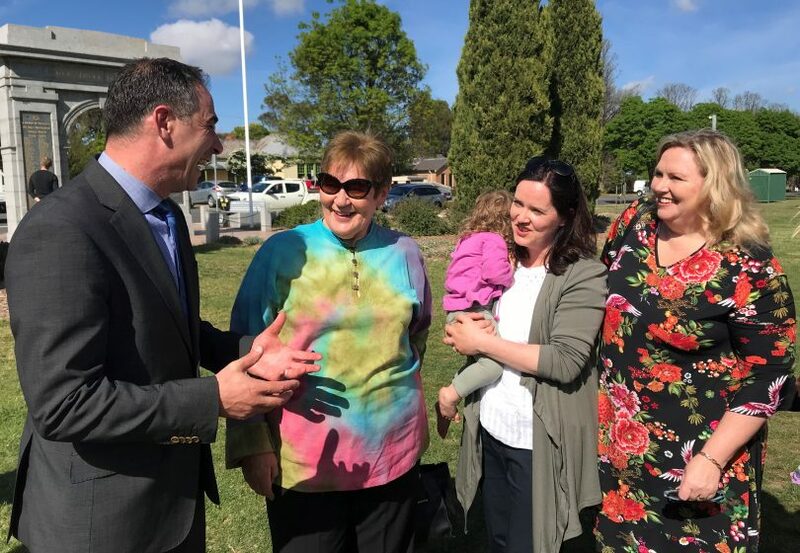 Together we were able to convince the Minister for Health to commit to building an ambulance station in Bungendore and I know we can work together again to see a high school built in Bungendore. “The Bungendore Action Group and Labor’s Candidate for Monaro Bryce Wilson have presented a compelling case. I was impressed by their detailed knowledge and commitment when I met with the group and Bryce Wilson in September” he said. “I want to also thank Mike Kelly for his advocacy for the high school. For several years now, Mike has been highlighting the importance of having a high school here in Bungendore” said Mr Wilson. “My commitment has always been that unless I can point to a block of land, and put a stake in the ground, then I can’t make an announcement” he added. There are over 4000 students from NSW travelling to school in Canberra. Local parents at the announcement in Bungendore on Friday.